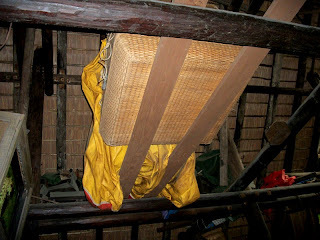 A variety of safari options are presented throughout African village of Harambe in Disney’s Animal Kingdom. While guests can only partake in the Kilimanjaro road trip, there are plenty of other areas to explore in the reserve and tours to be taken, usually in the back of the truck that is bounding down the rough African roads. There is, however, one safari that offers an entirely different perspective of the veldts, watering holes, and wildlife that can be found around Harambe. 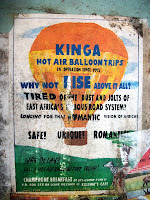 Kinga, which is Swahili for defense or protection, has been taking to the skies with hot air balloon safaris over the savannah since 1995. While the truck safaris may offer more of a face-to-face animal experience, they also offer jarring accommodations and kick up dust clouds. Floating on air, Kinga air expeditions offer less crowded conditions on top of the sense of adventure and romance afford by a hushed journey above the grassy plains. To further enhance the romantic ambiance Kinga also offers champagne breakfasts. Of course, business cannot always be booming, and for the hot air balloon purveyor who operates out of a restaurant known as Kulewa’s Cafe, it appears that something has gone awry. 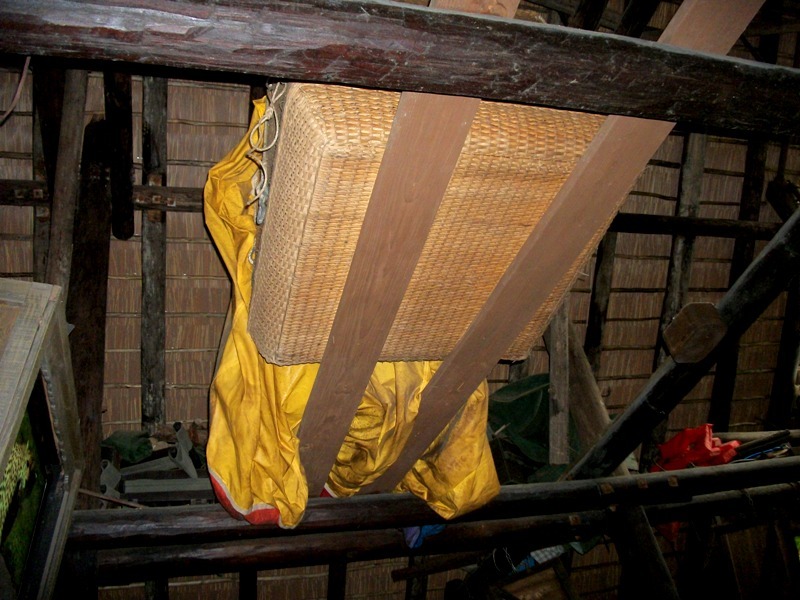 Tucked away in the rafters of Kilimanjaro Safaris is one of Kinga’s baskets and deflated balloons. Whether from a wayward flight path or due to the fact that Kinga is not booking as many flights as they’d like, it is never good to see a resource being sidelined. 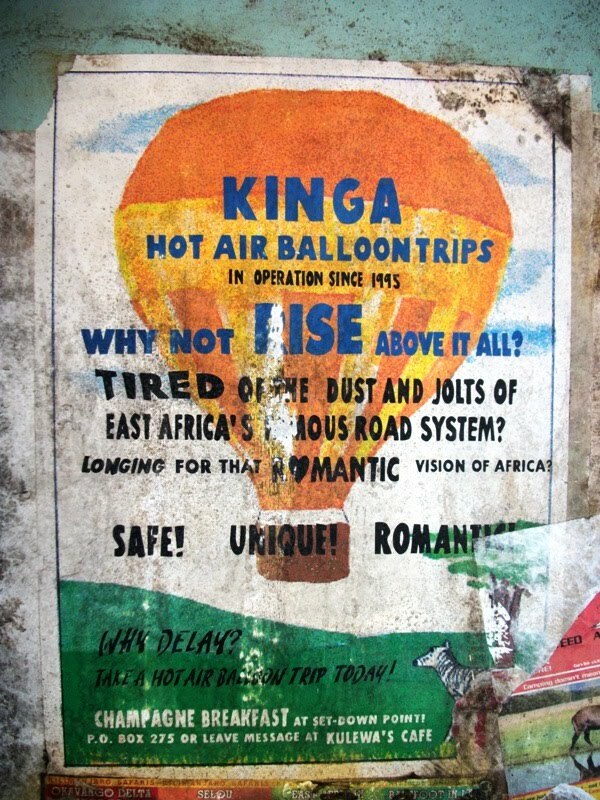 It’s always nice to have options when it comes safaris, and in Harambe the trucks can get guests within feet of exotic animals, while the hot air balloons of Kinga offer unique vistas and romantic rendezvous. If only in our dreams.